Recently, Professor Zonglin Jiang and CAS member Hongru Yu published an article entitled “Theories and technologies for duplicating hypersonic flight conditions for ground testing” on the “National Science Review”, Perspectives section. The impact factor of this journal in 2016 was 8.8, the 5th among the comprehensive scientific journals in the world. 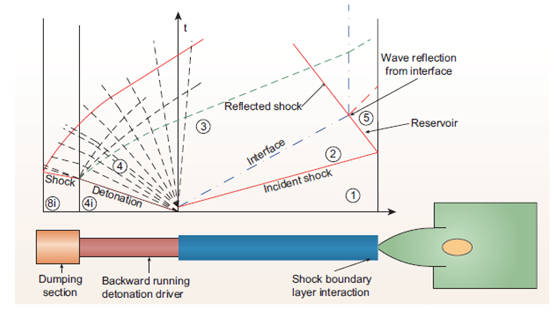 This article introduces the original and significant achievements of science and technology made by Institute of Mechanics in constructing and developing JF12 duplicating hypersonic flight condition shock tunnel. These theories and technologies for duplicating hypersonic flight conditions build up the international leading position of China in hypersonic and hypervelocity ground testing facilities.